Most of us hope that we’ll eventually figure out what we want to do when we grow up. For former theoretical particle physicist Larry Abbott, that “Aha!” moment came about 26 years ago, when, at the age of 39, he stepped into neurobiologist Eve Marder’s laboratory, where experiments were taking place to study a small neural circuit. He knew as soon as he walked out of the lab that neuroscience was what he wanted to do, “and I was terrified,” he says. That was in 1988 at Brandeis University, where Abbott was in his 10th year as a theoretical particle physicist. He had been working on the types of neural networks being studied by computer scientists and physicists for their interesting memory and information processing capabilities. Until one of his physics students encouraged him to visit Marder’s lab, he knew nothing about what neural networks meant to neuroscientists. After the visit, Abbott felt that, despite having taken only one biology course in his life, he could probably make his way in a new field with a strong mentor and a foundation in particle physics. “Physics is a great education for doing any sort of science. It gives you the math tools, which are the hardest tools to learn, and it gives you a confidence of going at certain kinds of problems,” Abbott says. He spent about a year in transition between professions, working with Marder every day. They published together for more than a decade. In the early days of his career, Abbott and Marder invented a method for recording cells, called the dynamic clamp technique, which is now used in many labs. 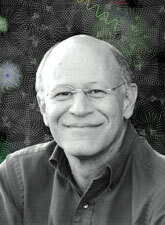 Abbott uses computer simulation and mathematical methods to model and analyze the neural circuits that drive behavior. His work is dedicated to helping describe what nervous systems do and figuring out how they function. Abbott is also dedicated to teaching. He co-founded with Marder the Sloan-Swartz Centers for Theoretical Neurobiology at Brandeis University and founded the Center for Theoretical Neurobiology at Columbia University, where he is the William Bloor Professor of Theoretical Neuroscience. He teaches PhD students and postdocs from other fields how to become neuroscientists. If it receives funding, Abbott plans to work on the Brain Research through Advancing Innovative Neurotechnologies (BRAIN) initiative, a research effort aimed at revolutionizing our understanding of the human brain unveiled in April 2013 by President Barack Obama. “There is a lot of complicated data coming in, and to deal with that you need the statistics and tools just to extract the right signals. You need the modeling tools to figure out what is going on,” Abbott says. Although the view has changed, Lucy de Barbaro still looks at life through the lens of physics. Sam Waldman uses skills gained through physics research to ensure safe travels for the Dragon spacecraft. Creating a compelling story about the search for the secrets of the universe in Particle Fever helped filmmaker Mark Levinson find his calling.